The Hand ball court in Nelson is a landmark and also a place where generation after generation have enjoyed playing sport. 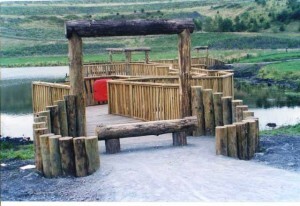 It is almost unique now and we are very lucky to still have it in the village. The handball court is believed to have been built around 1865 although it is difficult to get an accurate date. 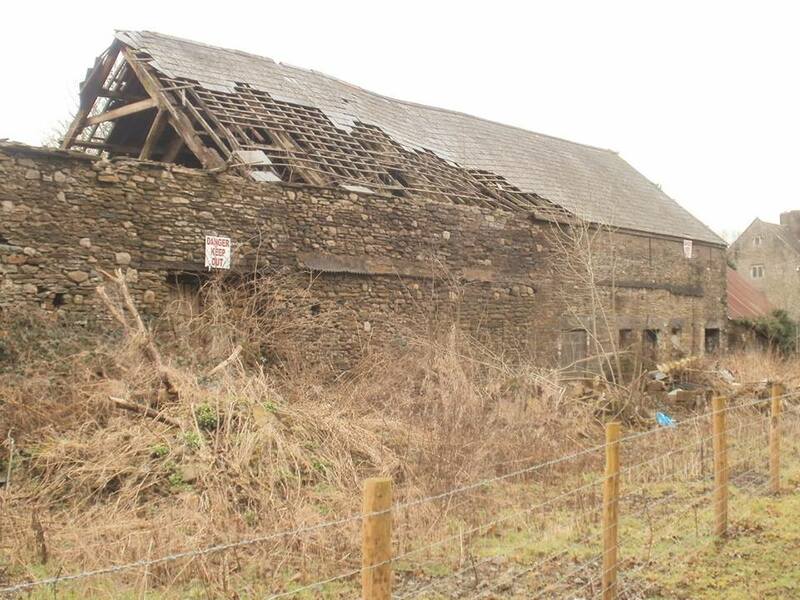 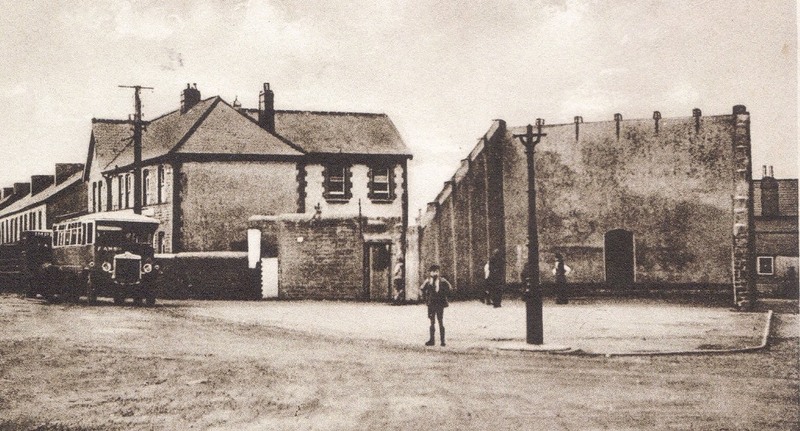 The landowners were the Wingfield and Mackintosh estate and they paid for the construction. 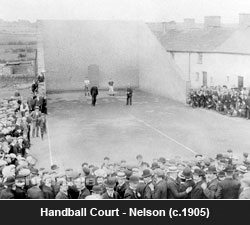 Nelson was a very small community in the early nineteenth century but the influx of workers to the area, particularly Irish labourers employed on the new railway works, saw the village grow considerably and handball was a game that became popular in Nelson. 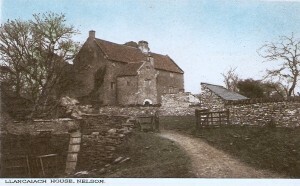 It is thought that the men played handball against the walls of the old Nelson Inn, this meant that the nearby Royal Oak was missing out on possible trade. The owners of the Royal Oak decided to build the Handball court on land they owned close by the pub and that idea proved successful as the Royal Oak became the headquarters of the Handball players and bar takings increased. 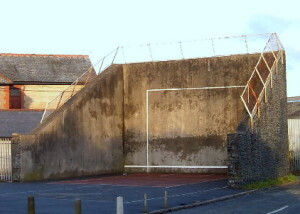 The Nelson handball court is recorded as the only full size ball court on mainland Britain. The Irish still led the way though and set the rules of the game and reportedly took it to the USA where it also flourished. 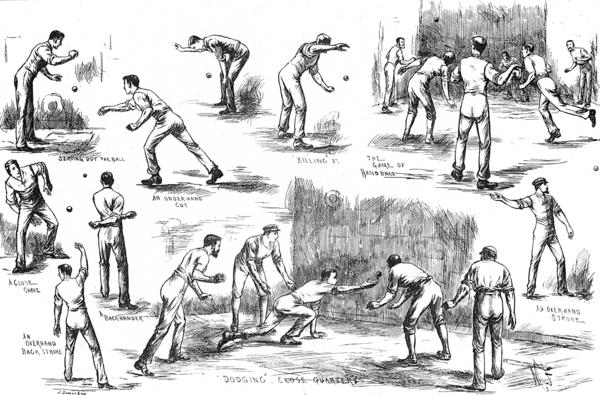 There is a very good publication available at Caerphilly libraries called Nelson Handball court by HJ Jones. 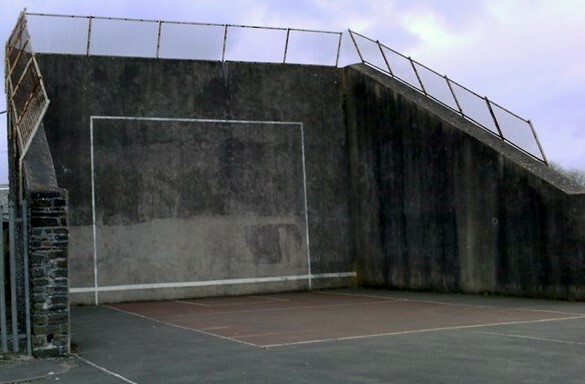 Well worth a read. 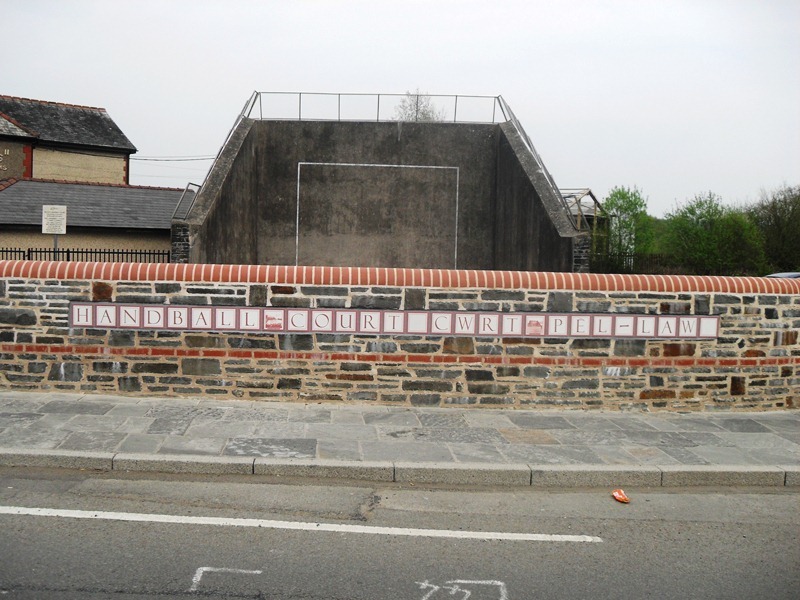 “There is a Welcome in the Valleys” ‘We saw the soul of handball in Wales this May. 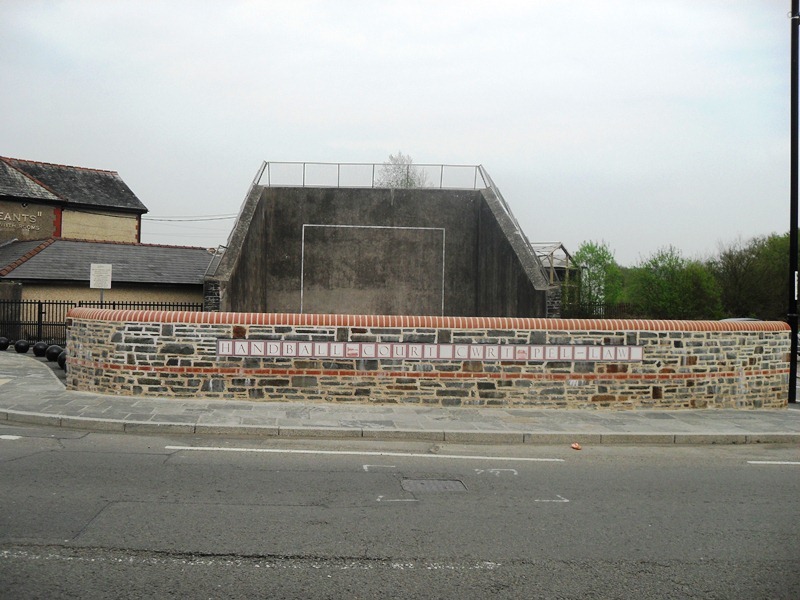 This was the only standard 60 x 30 court built in Britain and was put up for the Irish immigrants who went to work in Wales in the 1860s. 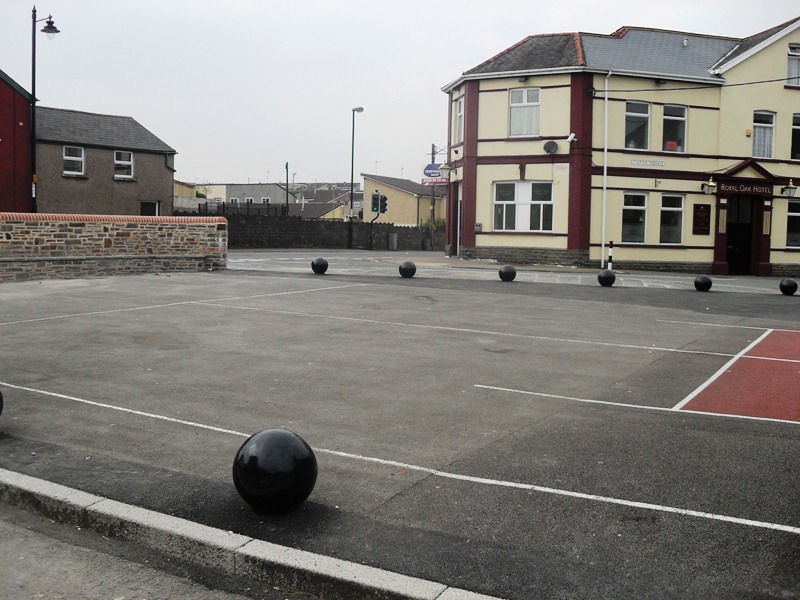 Handball became the major sport in the village and for their annual tournaments the court and square around it would be black with spectators, old and young. 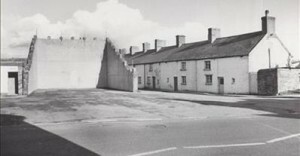 Again this year(1995) the court became the centre of village life. The old Irish game of One Wall Handball was gloriously resurrected in a weekend favoured by ideal weather conditions. 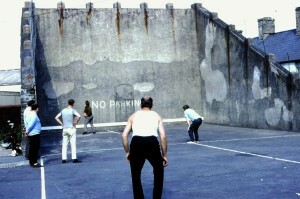 We saw the game as it was originally devised, a street game, a game of the people especially of the children. 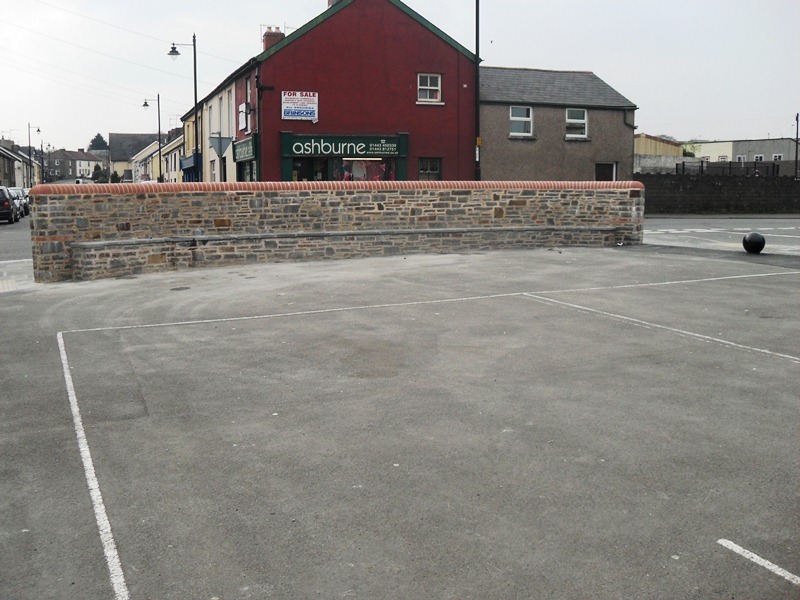 In 2011, the Handball court was giving a facelift and was protected from the main roads by a new purpose built wall. 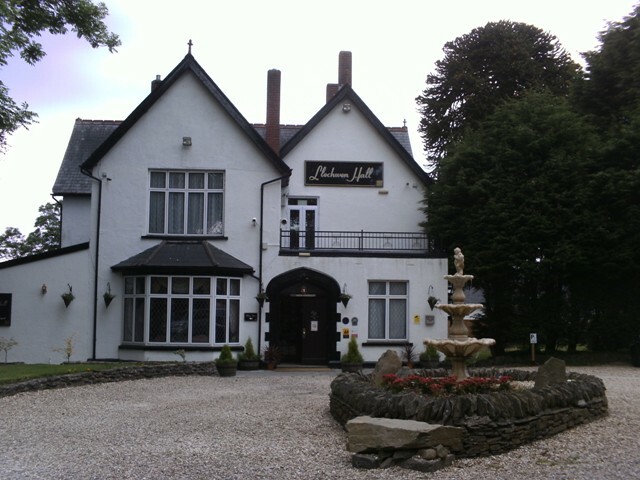 Set in six glorious hillside acres with panoramic views, Llechwen Hall is an owner-run hotel, offering the warmest of welcomes. The name is probably derived from “Llechfan” a place of shelter or refuge. 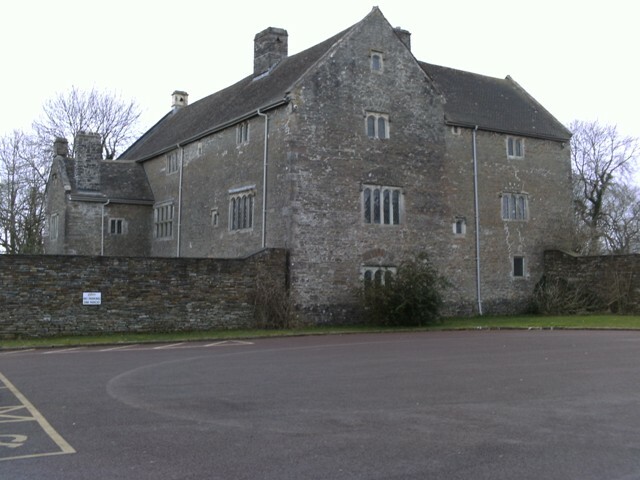 The main building is Victorian but behind the hotel are buildings dating from the 17th century, with walls four-foot thick, blackened beams and stone roofs. 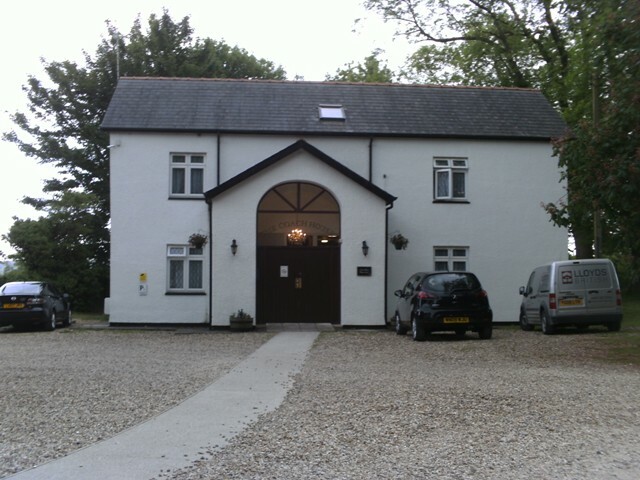 The Hall has had an extensive make over in recent years and is really quite a luxurious place; it has its own licence to conduct wedding services and is a popular location for couples from the area to get married. 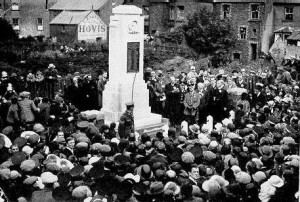 The Hall is high on the mountainside and narrow roads lead you to it, either from the direction of Llanfabon Church, or up the hill, past the Golf club, up from the old main Quakers Yard to Abercynon road. 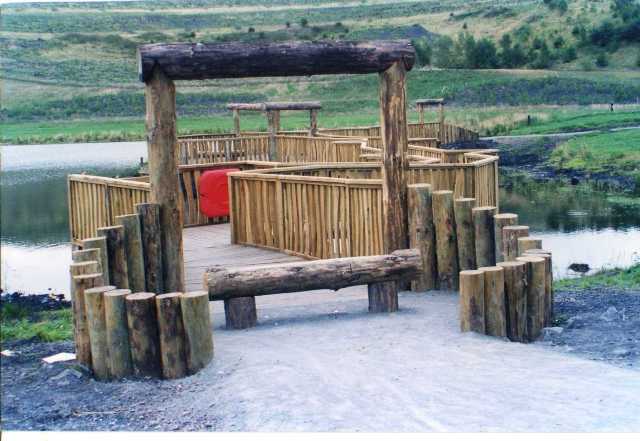 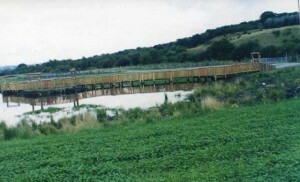 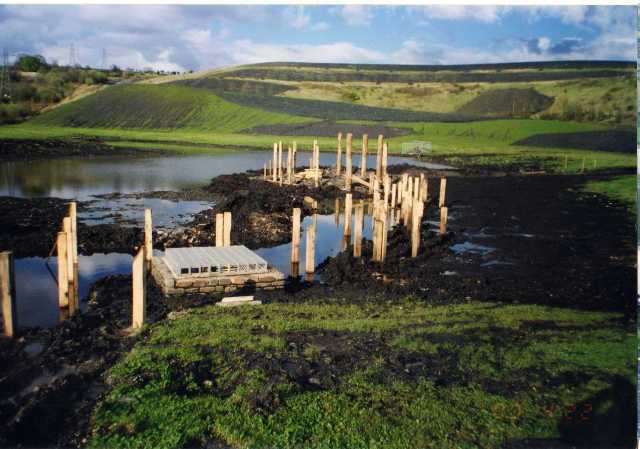 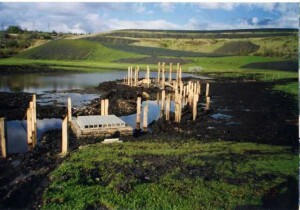 The Nelson Bog is now part of the Penallta Parc and is an area of natural beauty…it is registered as a (SSSI) Site of special Scientific interest, it is also a place where birdwatchers gather and the bog itself now as a walkway so you can get a better view of the butterflies and bugs that reside there. You reach the bog by travelling along the Celtic trail, which is route 47 of the National cycle route. 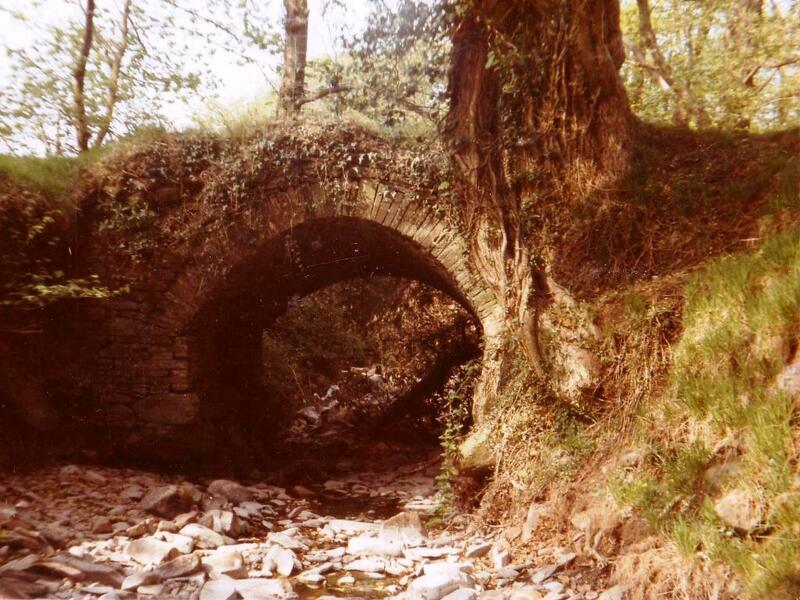 It is a pleasant walk from Nelson alongside the railway track towards Ystrad Mynach…below are three photographs that Robert Amos took a couple of years ago, when he visited the area. 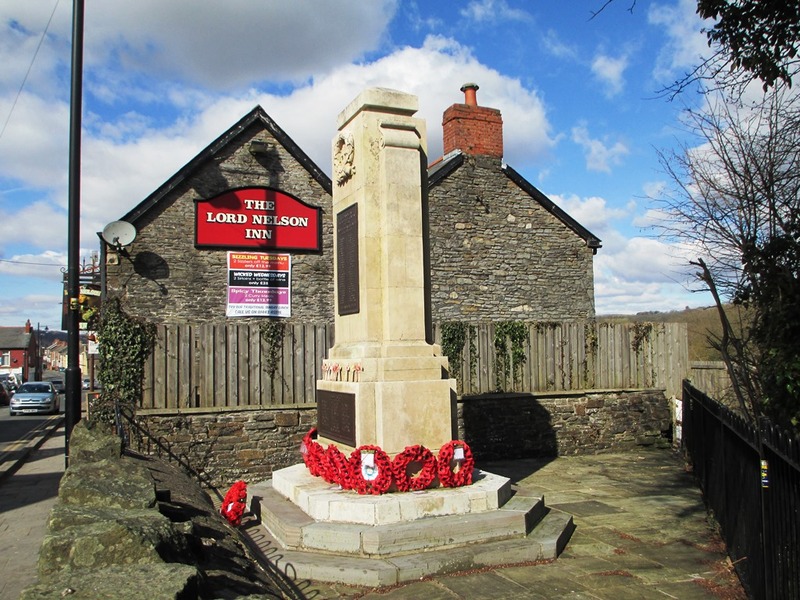 If you are anywhere near the Treharris district, please make a visit in to this historical House, it is one of a kind in South Wales and open to visitors.They have a very good restaurant and the Sunday dinners are exceptional. 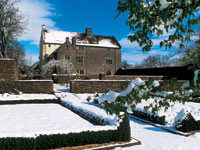 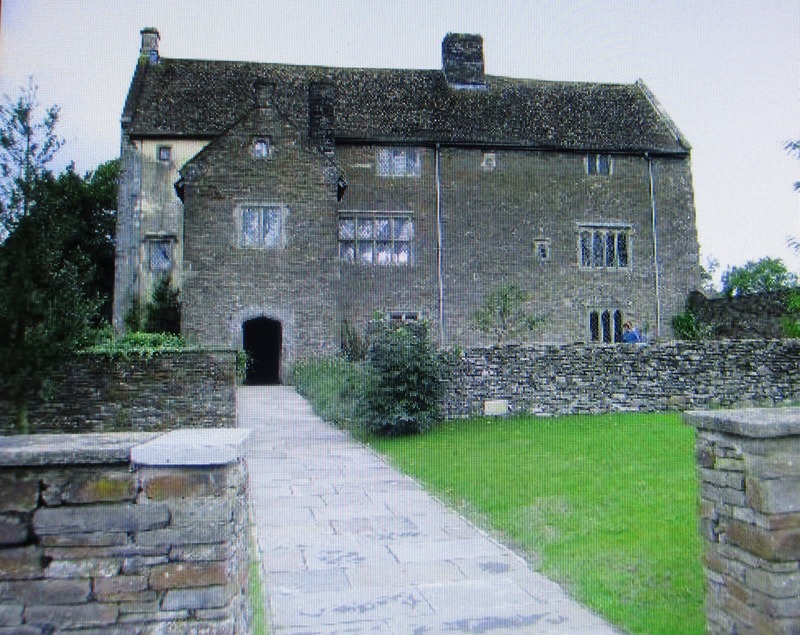 The peaceful, rural setting of Llancaiach Fawr Manor gives no clue to the turmoil of its early years nor to the exciting Living History it now portrays. 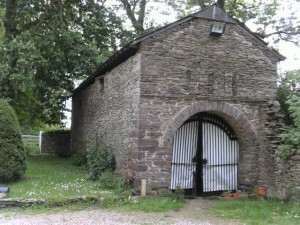 Built in 1530 for Dafydd ap Richard it was designed to be easily defended during the turbulent reigns of Tudor kings and queens. 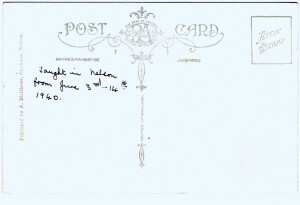 Below we see a postcard that was purchased by Ray Davies of Nelson…it says on the back that it was produced by A Mathews, stationers Nelson? 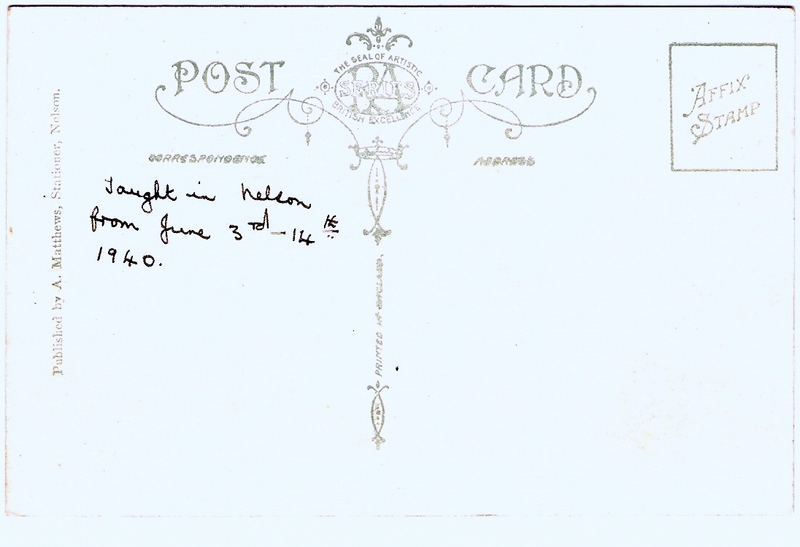 The writing is done by someone unknown to us, but someone who taught at a Nelson school during the war. 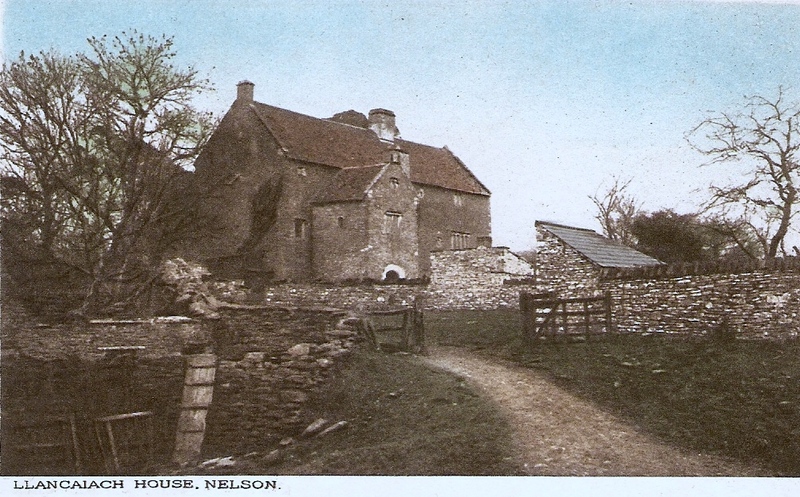 This image dates back many years and will be familiar to many of us, especially the lads who got caught scrummaging the apples from the orchard and got horse whipped by the farm lady Mrs Rosemary Williams. Above we see a photo of the old Llancaiach Fawr bridge, now demolished, the one to the south of the house, that went across the Dingle brook into the field behind Gelligaer Road. 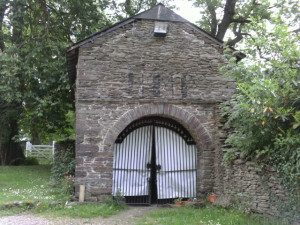 That was the original entrance into Llancaiach fawr when it was built, because Gelligaer Road didn’t exist then. Many thanks to Leighton Smart for this.